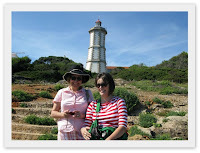 First two days in Portugal - Visit to Guincho and Cascais. Guincho is situated 5 km from Cascais , lying at the foot of the Sintra hills and facing the Atlantic, it can't be missed. The sand dunes blend subtly with the pine trees, the sea - rich in fish - rushes here and there into majestic caverns and enormous cliffs. 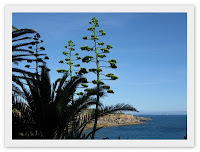 The vegetation is varied and beautiful and mostly of the Mediterranean type. Guincho as always been ideal for surfing owing to the large breakers, but it is now becoming increasingly known for wind surfing - a sport much developed over the last few years. The views of ocean in this area are breathtaking... we spent an afternoon walking in the coast line exploring lighthouses and admiring the ocean. Cascais is probably our favorite city in Portugal, charming fishing village with bays and incredible corners in the old part of town, this time hoever we spend our time by the marina. The video featured is about the places we visited together! Enjoy a taste of Portugal!